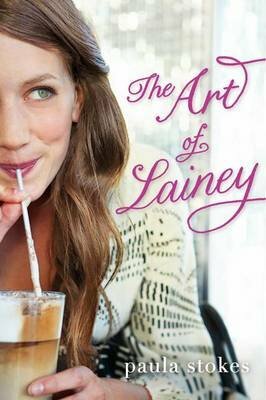 Perfect for fans of Stephanie Perkins, Sarah Dessen, and Susane Colasanti, The Art of Lainey tells the story of how, with the help of The Art of War, Lainey plots the perfect plan to get her boyfriend back. But is getting him back really what she wants? Soccer star Lainey Mitchell is gearing up to spend an epic summer with her amazing boyfriend, Jason, when he suddenly breaks up with her--no reasons, no warnings, and in public no less Lainey is more than crushed, but with help from her friend Bianca, she resolves to do whatever it takes to get Jason back. And that's when Lainey and Bianca stumble across a copy of The Art of War. With just one glance, the girls are sure they can use the book to lure Jason back into Lainey's arms. So Lainey channels her inner warlord, recruiting spies to gather intel and persuading her coworker Micah to pose as her new boyfriend to make Jason jealous. After a few "dates," it looks like her plan is going to work But now her relationship with Micah is starting to feel like more than just a game. Can fighting for what she wants help Lainey figure out what she really needs?